In Southeast Iceland, you'll find a glacier lagoon filled with icebergs, called Jökulsárlón, or 'Glacier's-River-Lagoon'. Jökulsárlón is one of Iceland's natural crown jewels and has become one of the most popular attractions due to its stunning beauty. The lagoon is formed naturally from melted glacial water and is perpetually growing while big blocks of ice crumble from the ever-shrinking glacier; as Jökulsárlón increases in size, the retreating glacier visibly demonstrates the effects of global warming. This, perhaps, makes the lagoon and the nearby glacier tongue even more special, as they will look different each time they are viewed. Seals can be seen swimming in the lagoon and by the coastline, or relaxing on top of a floating iceberg. The lagoon is also teeming with birdlife, especially during summer, when you are likely to see the arctic tern and a number of other species. 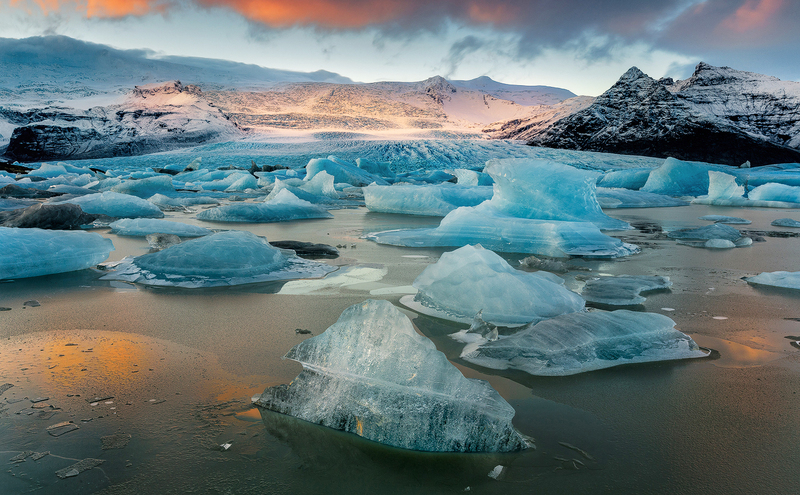 This mesmerizing glacial lagoon will not disappoint and offers an unforgettable experience. Jökulsárlón is Iceland's deepest lake at 248 metres. The icebergs in Jökulsárlón are composed of ice that is over 1,000 years old. Jökulsárlón first started forming in 1934, when Breiðamerkurjökull glacier started retreating, leaving the lagoon in its path. Jökulsárlón has increased fourfold in size since the early 1970s. Jökulsárlón connects with the ocean and is therefore composed of a sea and fresh water mixture which causes its unique colour. My highlights were the elephant ride, the raft & boat rides, the Rose Gardens & the cultural show.